I made an interesting mistake, today… one that comes up from time to time. I used a business term in one way, and some members of my audience understood what I meant, while others did not. In this case, the word was “core”. The word has two different definitions. Unfortunately, the definitions are quite different, at least in an Enterprise Architecture context. The dictionary definition of “core” reflects the problem. Bing dictionary defines “core” as the “central” or “most important” part of something. Notice the word “or.” Either meaning can be intended. This goes to an old idea of putting the most important part of something in the middle. In ancient kingdoms, the capital city was often very centrally located, usually near a convenient transportation route (like a river) that offered quick access to all parts of the kingdom (within reason). So, the word core can mean “most important” or it can mean “in the middle.” In the past, those two meanings were synonymous. Porter’s Value Chain. Image source. What is the most important part of that model? It’s the bottom-half, illustrated as the “primary activities” or value chain. Porter is smart enough to avoid the word “core” because it has the connotation of “in the center” when he wanted to illustrate that value chains are not “in the center.” They traverse “end-to-end”. Porter seems to be somewhat alone in avoiding the term “core.” Many business books and resources use the term “core” when referring to the primary activities. There are countless illustrations, if you bing for images with the search phrase “business core”, where you are looking either at a set of service offerings or a value chain. 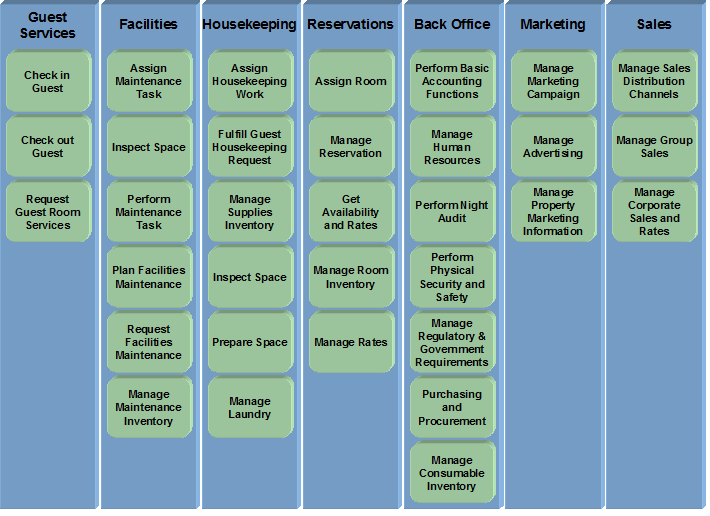 The following diagram is a business architecture reference model for the hospitality industry. The name of this model: Core Business Domains and Processes. 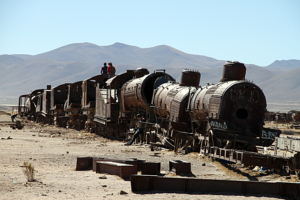 In Enterprise Architecture, the distinction becomes more problematic. Shared things are often the LEAST important thing from the perspective of the business, not the MOST important thing. For example, the HR department is often a shared function, and unless the company is an HR service provider, that business function is not part of the value stream. On the other hand, from the perspective of information architecture, the shared things are the most important and the non-shared things are the least important. For example, a single understanding of “customer” is critical, especially when that understanding is shared across marketing, sales, and customer service. It is shared, common, and very important. Two years ago, I made a presentation to the Open Group conference about creating core diagrams using a method I created called “Minimum Sufficient Business Integration.” In that method, I use the word “core” many times to refer to “shared” items that are central to an organizations’ Enterprise Architecture. So, what definition should I use for “core” when having a discussion about business and enterprise architecture? Should the word “core” refer to “the most important” thing, or “the most shared” thing? I don’t have a good answer. 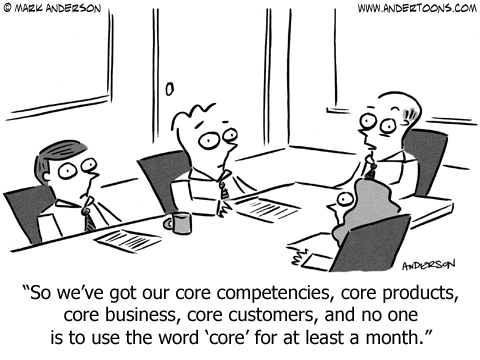 Perhaps the best answer is to avoid the word “core” altogether. anger is real. Fear is a choice.” Sometimes, as an Enterprise Architect, you will have to tell someone powerful something that they don’t want to hear. The situation can end badly, impacting your ability to continue working as an Enterprise Architect, or worse, resulting in you losing your job. These dangers are very real to many EAs.